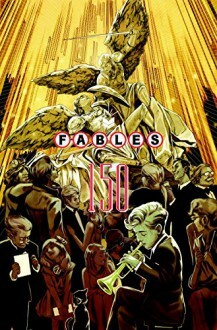 The New York Times Best-selling Series and Winner of 14 Eisner Awards!Completing more than thirteen years of critically-acclaimed storytelling, FABLES #150 is here!Doubling as the final volume of the series, creator Bill Willingham, artist Mark Buckingham and a host of the industry’s finest artists deliver the end to this legendary Vertigo series that sees the final fates of beloved characters Bigby Wolf, Snow White, Rose Red, Boy Blue, Pinocchio and countless others. Ready or not, ever after is here. http://strangefate.booklikes.com Tower of Iron Will 4.0 "In which many things are resolved"
text "In which many things are resolved"